I wake up before dawn and heard the ocean outside. The dunes separate the beach house from the sea itself, but not the smell of the ocean, nor the pounding of the surf, a dull thud, without the crackle and sizzle of the foam. The sky is beginning to lighten, I get dressed and grab my camera. It’s a safe bet that Edgar Allan Poe walked this stretch of beach. Less than a mile from Fort Moultrie where he was stationed in the army, there wasn’t a lot to do on the island. 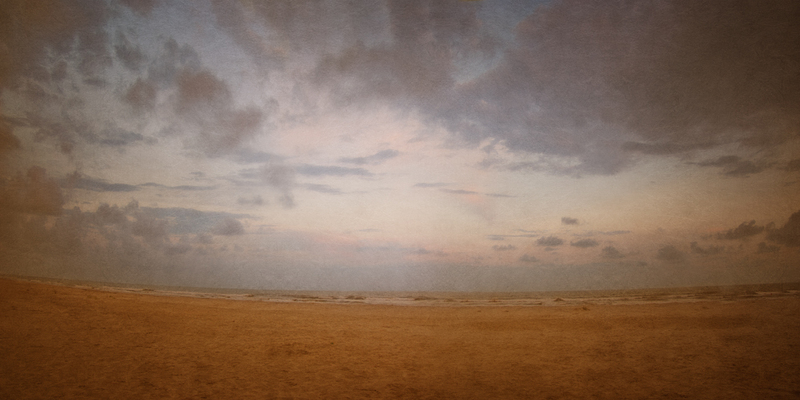 Poe did his share of walking, was a naturally curious soul and had an affinity with the ocean. I’m sure he stood on this very spot, but it’s been too long. Poe’s footprints were washed off this beach long before his death even. I’ve come looking for the man, but all I’ll find here is legend and myth. To the east, the sun is just starting to top the horizon. I’m more relaxed here on the beach than I was in the bed, and I realize it’s the surf. The incessant pounding. Later poets, intent on adopting Poe as southerner, a Charlestonian in particular, would claim the sound as the source of the haunting refrain of The Bells. I can buy that. But like almost everything about Poe and Charleston, it’s only a guess. The notoriously quick to put pen to paper Poe seldom wrote directly about his time at Fort Moultrie, Sullivan’s Island and Charleston. But listening to these waves, I had doubts about that. It’s not a pounding surf like you find in other places along the east coast. Steady but smaller waves. Less like bells, more like chimes. I wondered how Poe took to the sea? He grew up in Richmond, on the James River, about 40 miles from the ocean. He crossed the ocean as a child, to England, and of course back again. When his step father, John Allan wrote home to his wife, Poe told him to tell her that he was very brave on the crossing. I find that touching, and very un-Poe like. But it’s another piece in the mosaic, Poe the orphan, wanting to impress the woman he wished could be a mother to him, and the man who utterly refused to be a father. If nothing else, Poe’s time in the army was a reintroduction to the sea. For most of the next two years, the ocean would be a constant companion. His first base was Fort Independence in the Boston Harbor. From there he could see the town of his birth, but he would have no memory of the place, nor his parents. It seems an odd choice for Poe, a chance to start over perhaps, to join the life he lost when his mother died when he was but three. In October they received orders to ship out to the south, and Private Perry boarded the Waltham on Halloween. 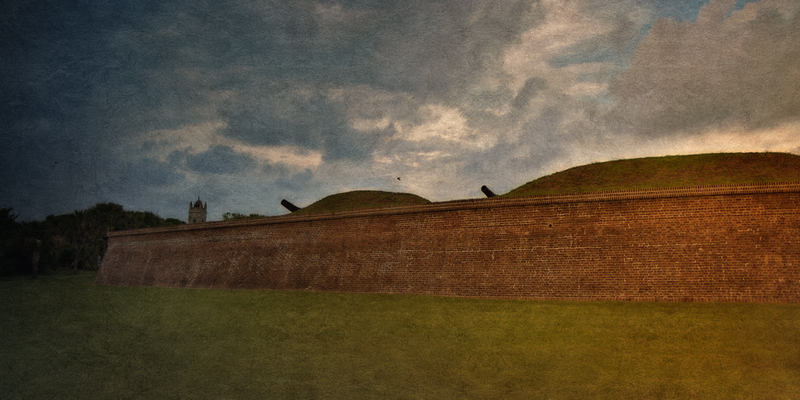 Fort Moultrie is a blend of old and new, with a portion of the fort still dating from Poe’s time there. Poe arrived on Sullivan’s Island eighteen days later, ten miles from Charleston, across the harbor from Fort Sumpter, which would have a more infamous story to tell some years later. In South Carolina, Poe received a pay raise to $10 a month. He only stayed on Sullivan’s Island just over a year, before heading north to Fortress Monroe, Virginia. There he would receive the highest rank for a non-commissioned officer, Regimental Sergeant Major. He had risen quickly, only taking nineteen months to reach his position, which was put down by his fellow soldiers as a result of “highly worthy confidence.” It must have felt like quite an accomplishment, but also a terrifying reality sunk in. This was as high as he could rise in the army. If he wanted more, he needed school, West Point. “I have been in the American army as long as suits my ends or my inclination, and it is now time that I should leave it… The period of Enlistment is five years — the prime of my life would be wasted…” Poe wrote to John Allan, desperate to escape his enlistment early. Allan finally capitulated and agreed Poe, after Poe obtained an appointment to West Point. But it was perhaps the last act of kindness Allan ever showed his foster son. It struck me that Poe, for most of his life, lived in the shadow of the ocean … here, Boston, New York, Baltimore. Even Philadelphia lies close enough to pick up ocean breezes. When we think of Poe, the ocean doesn’t usually spring to mind. But it played a big part in his life. I’m sure it wasn’t the beach, maybe not even the ocean itself that attracted him. Poe lived in cities for most of his life. His horror, his mystery was in the streets, the homes. These cities on the sea brought ships, people, life and energy. An escape. 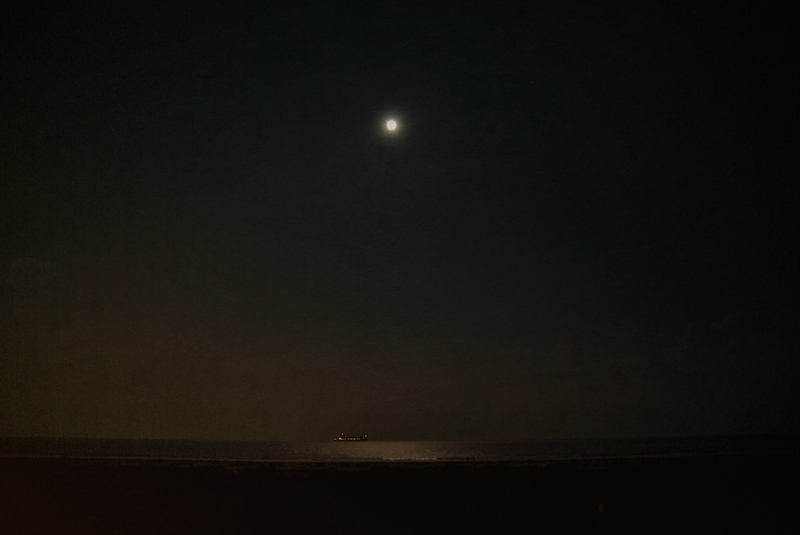 But for the next eighteen months, Poe found himself out on a long, narrow island, the city lights visible from the shore, while he watched, indentured to the army, but at last free from his step father, who had disappointed him so much. He was on his own, earning a wage and pondering his future. He dabbled in poetry, one assumes he read as much as he could. 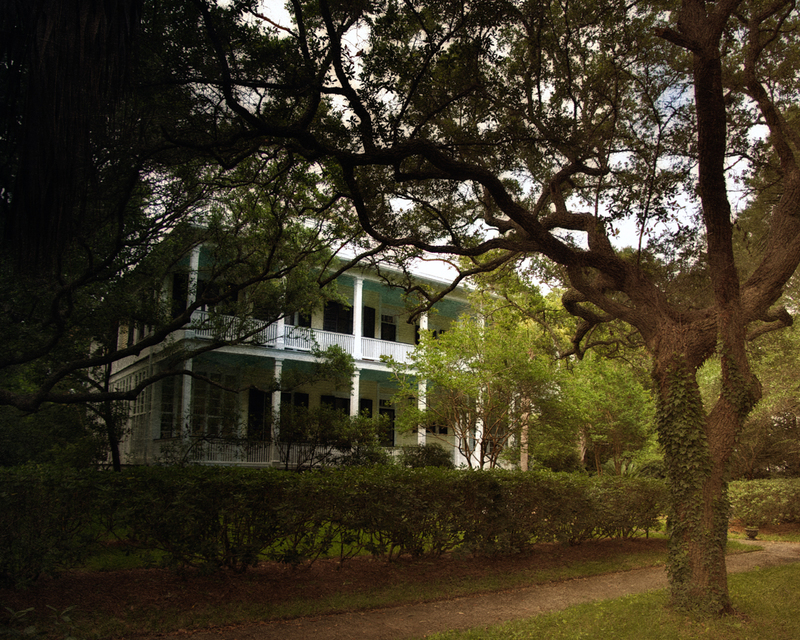 The library on Sullivan’s Island is named after him, but of course it dates from well past his stay there. Streets are named after him on the island as well, but for all the attention Poe gets here, very little is known about this period of his life. Nature, and commerce abhors a vacuum. Poe has always been popular. In the century after his death, he was a literary figure, and as such, writers of many regions tried to claim him as their own, and the south, perhaps most appropriately was no exception. I don’t know Poe’s thoughts on what region he belonged to, My guess would be Europe. His first book of poetry, published anonymously during 1827, Tamerlane and Other Poems, by A Bostonian would belie the idea that Poe thought of himself as a southerner. Perhaps his experience in the south growing up had soured him on that thought. Perhaps calling himself a Bostonian was just a way to put the past behind him, At any rate, the book didn’t even cause a ripple. 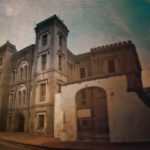 Then in the early twentieth century, a collection of writers, a bevy of poets with ties to Charleston began to theorize on Poe’s connection to the city with a number of poems interpreting his time there. These weren’t based on facts, or even substantially on rumors, but on intuition and how they felt about Charleston, and in particular, Sullivan’s Island. They pored over his work looking for connections. The Gold Bug is the obvious example, though written about 16 years after Poe’s time on the island. It is of the minority where Poe sets his work in an identifiable location. It must be said though, that Poe took artistic license with the landscape, which is natural considering he was working from memory. What was more interesting to Poe than Sullivan’s Island at the time of the writing of The Gold Bug, was his interest in cryptology, going so far as to challenge his readers in the magazine he was working for to send him cyphers to decode. He got so many he finally had to issue a plea for people to stop. He was quite good at solving them, but not because of any advanced skills he might possess, for he had little more than a basic understanding of the subject. Instead, he had faith in the idea that his readers had even less knowledge of it, which turned out to be true. Standing on the beach at Sullivan’s Island, wandering the streets, walking the old town of Charleston, one can’t help but think this area has been bitten by a bug of a singular nature. Is it so singular that Poe couldn’t have found these bits of inspiration elsewhere? Of course not. The ocean was a constant in Poe’s life, from the time he was a boy. There’s no way to see into Poe’s mind based on cherry picked scraps of his writing. Poe the poet seemed to explore his heart, rather than in his prose which was often tailored towards the audience. The sea in Poe’s poetry is simply too vast to be tied to any strand of beach. 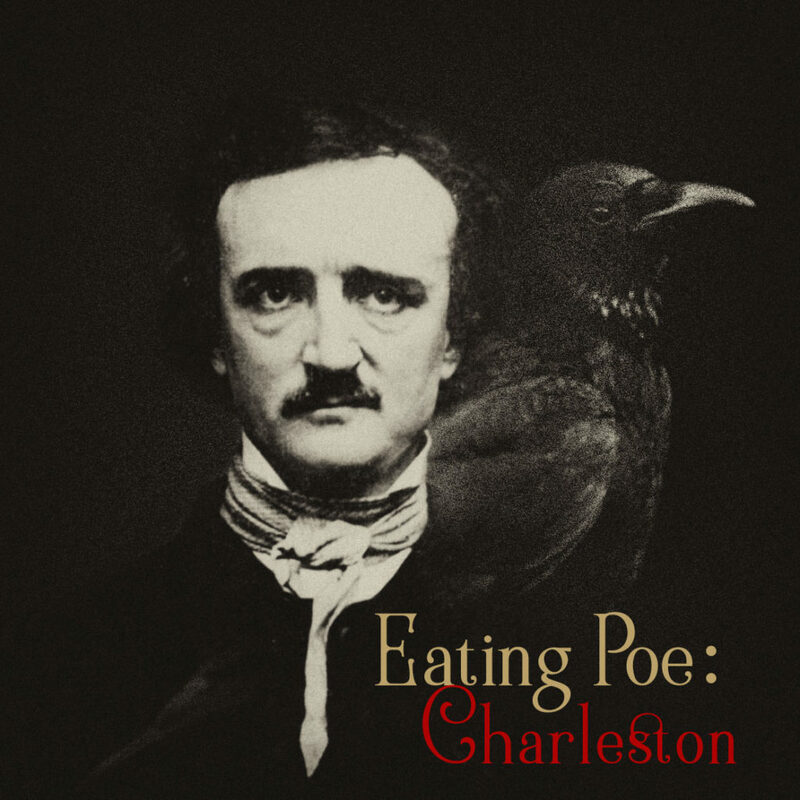 Southern poets went to extremes to fill in the gaps in Poe’s time in Charleston. In 1839, eleven years after Poe left Sullivan’s Island, there came to be published The Conchologist’s First Book, with the author listed as Edgar Allan Poe. It was at best a translation from a version by Thomas Wyatt, an Englishman. 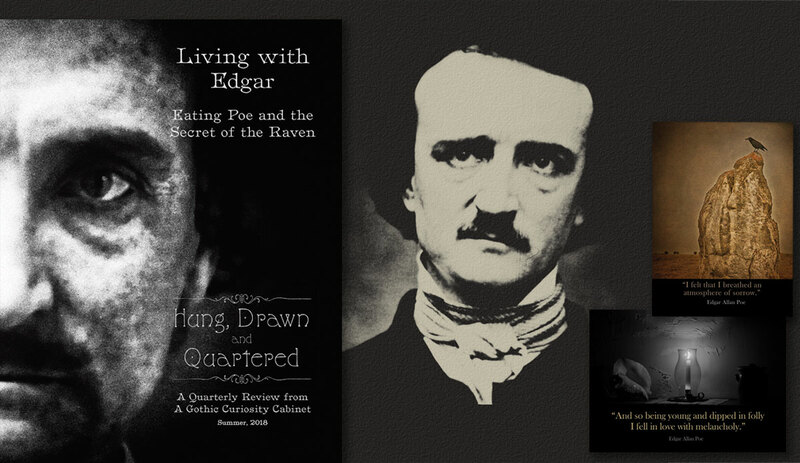 In fact, Poe was given the job of editing, writing a preface and introduction and some translation. The idea was to take the larger book, written in French, and shorten it for an American audience of school children. At that it was successful, the only book under Poe’s name to get a second printing in his lifetime. Poe’s name was in fact the reason he was given the job, because copyright issues made it problematic to use the original author’s name. Poe’s reputation at the time was as a journalist, so it gave some weight to the project. It brought Poe some desperately needed income, but also enemies in the publishing world, from the plagiarism charge and the skirting of copyright laws. These resulted in Poe having difficulty for a time finding a publisher for his own work. 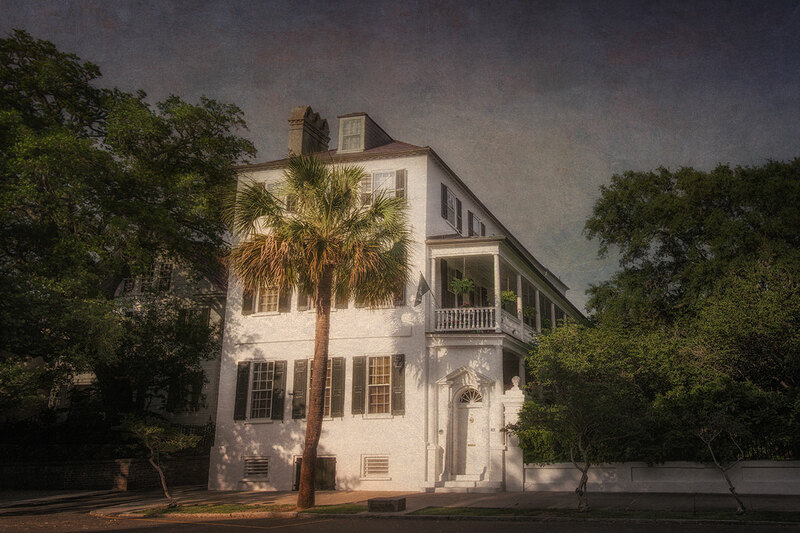 There was during Poe’s period in South Carolina, living on Sullivan’s Island in the summers, a noted Charleston Conchologist and medical doctor, Dr. Edmund Ravenel. It’s from this connection with Conchology that people have presumed that Poe must have known the esteemed Dr. Ravenel. But so far, no direct evidence has ever emerged that the two met. 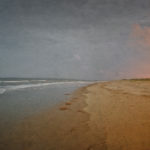 It’s been stated that Poe based his description of the protagonist of The Gold Bug on Ravenel, who likely did range up and down the island looking for shells. And it’s reasonable to assume that Poe might have met him. But that’s where reason ends. When defending himself against the plagiarism charges, he never mentioned a connection to explain his knowledge of the subject, and a name like Ravenel’s would have gone a long way towards establishing credibility. These early twentieth century poets however, trying to establish a link between Poe and Charleston didn’t let facts get in the way of their mission. In his biography, Edgar Allan Poe: A Critical Biography, Arthur Hobson Quinn added credence to the story of Poe and Ravenel’s association. In reality, all Quinn wrote was it seemed probably that Poe talked with Ravenel, and that he had plenty of opportunity to do so. But over time, Quinn’s theory became fact in people’s minds. From that grew the legend that Poe had fallen in love with Ravenel’s daughter, Anna. The story went that she was already engaged at fourteen to a member of an aristocratic Charleston family. When Ravenel discovered the affair, he arranged to have Poe shipped off, and indeed Poe did leave just after a year on Sullivan’s Island. But he left with his whole brigade. It’s said that after he left, Anna was struck by a fever, and died before Poe could get back to her. In the legend, Ravenel purchased six plots in the Unitarian Church Graveyard in Charleston, where Poe and Anna were supposed to have met. There he buried her in an unmarked grave, so Poe couldn’t know which one she was buried in. And that, according to Charleston myth which to most people today is history, is the source for Poe’s final poem, Annabel Lee. A spurious legend has grown up that the poem Annabel Lee has it’s origins in a failed relationship of Poe’s. It’s also said that her body was buried in the Unitarian Churchyard in Charleston. 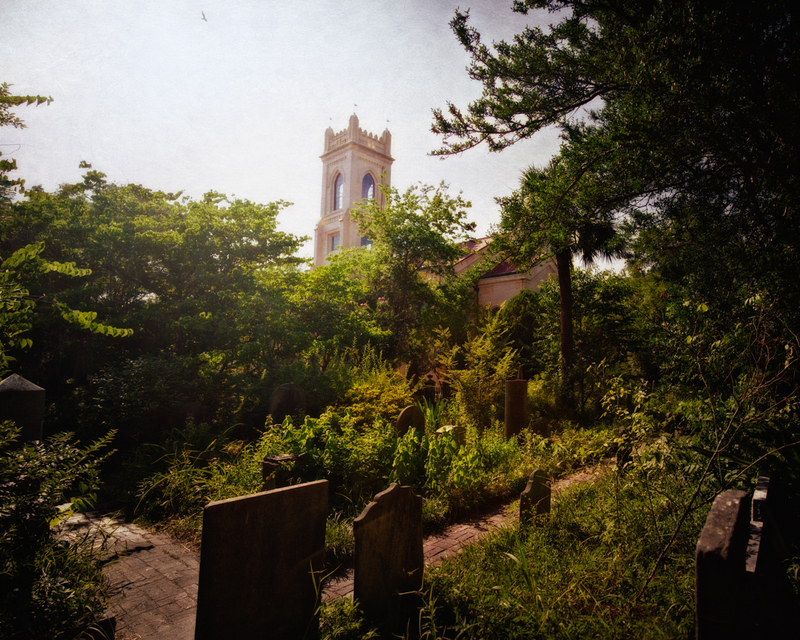 Both are unfounded, but the churchyard is a lovely place to visit. Unfortunately, it appears to be poppycock. Ravenel was married twice and had eight children, none of them named Anna. 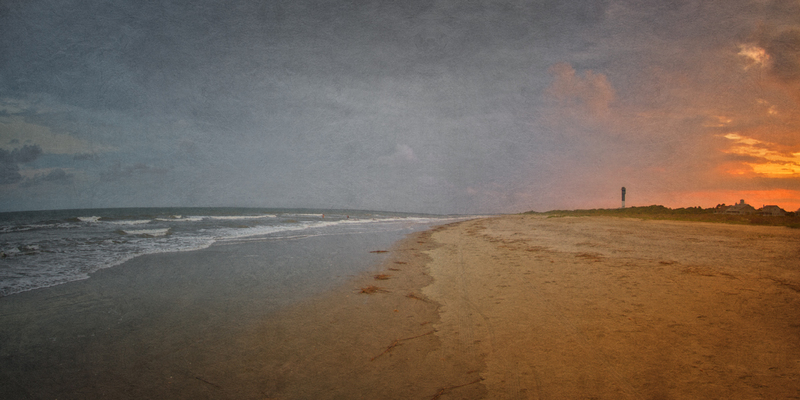 In fact, his first child was born in 1826, just a year before Poe arrived on Sullivan’s Island. 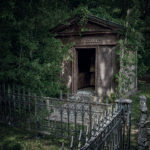 The family plot, rather than the Unitarian Church, is to be found in the Somerton Plantation Cemetery, inland from Charleston. There is no Anna buried there either. There are also unconfirmed tales that Poe visited the theaters that his parents had performed in. 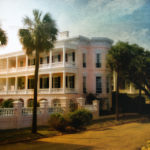 The King Charles Inn in Charleston makes the claim that its predecessor, the Pavilion Hotel was where Poe holed up for a time, writing the Gold Bug and drinking in the bar. They should know better as that story wasn’t written till almost 20 years after Poe left Sullivan’s Island. So why does Charleston lay such claim to Poe? That’s simple. The movies. When Poe made his way to the big screen, people saw there was money in his name and reputation, and since there are no facts, the legend has to do. Legends are more colorful than history anyway. In the past, urban legends were usually confined to word of mouth, and in the present, the internet. But even a casual search for this legend online, shows that there are many commercial interests in Charleston promoting these tales. This was something Poe himself learned in his lifetime. 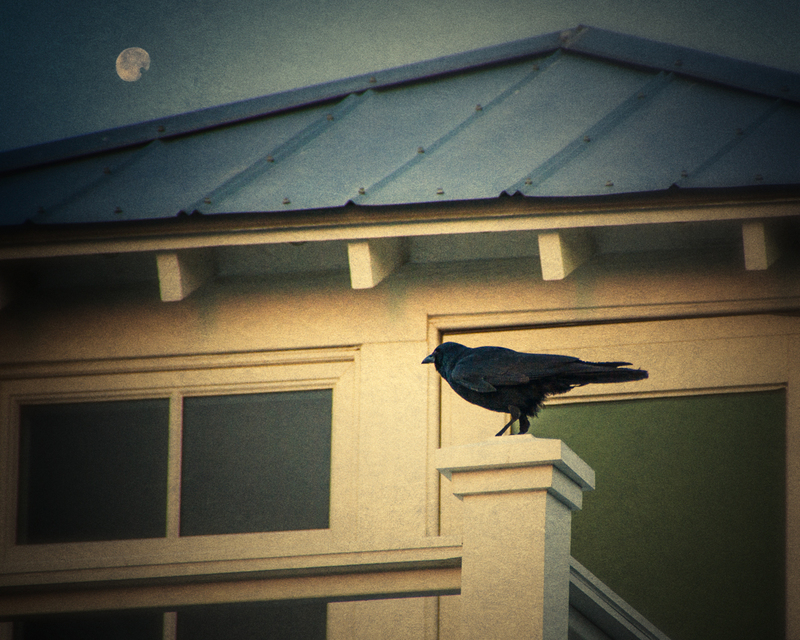 The Raven was a huge success, but he made only $12 for its publication. A never ending stream of opportunities to read the poem ensued, “He would turn down the lamps till the room was almost dark, then standing in the center of the apartment he would recite … in the most melodious of voices … So marvelous was his power as a reader that the auditors would be afraid to draw breath lest the enchanted spell be broken.” It made Poe a household name, and yet Poe wrote in his correspondences, “I have made no money. I am as poor now as ever I was in my life—except in hope, which is by no means bankable“. Starting in 1961, Roger Corman began making low budget adaptations of Poe’s work. Adaptation can be a generous term when describing these films. Though surprisingly well done, none really told Poe’s tales. Instead they were geared towards the sensational. Poe’s rich dialogue was supplanted by screenwriter’s drivel out of necessity, because few of the tales really lent themselves to a feature length film. I mean you can read The Raven in less than ten minutes, and the plot consists of a man talking to a bird. The almost constant presence of Vincent Price in them however, led an air of literary respectability, because words dripped like honey from Price’s tongue. To be honest, that’s where I heard of Poe. When you learn a story from a film, rather than the original book, it’s always hard to go back to the source material. And why not? Films are made to be sensational, to make every second count. Dialogue requires thought, and these films weren’t designed to provoke deep thought. The trend continues still. 2012’s The Raven, another well done film featured John Cusack, who I actually like, playing Edgar Allan Poe in a mishmash of Poe plot lines and sheer fantasy. Poe, the harshest critic of his age would have eviscerated all involved. Rightly so. 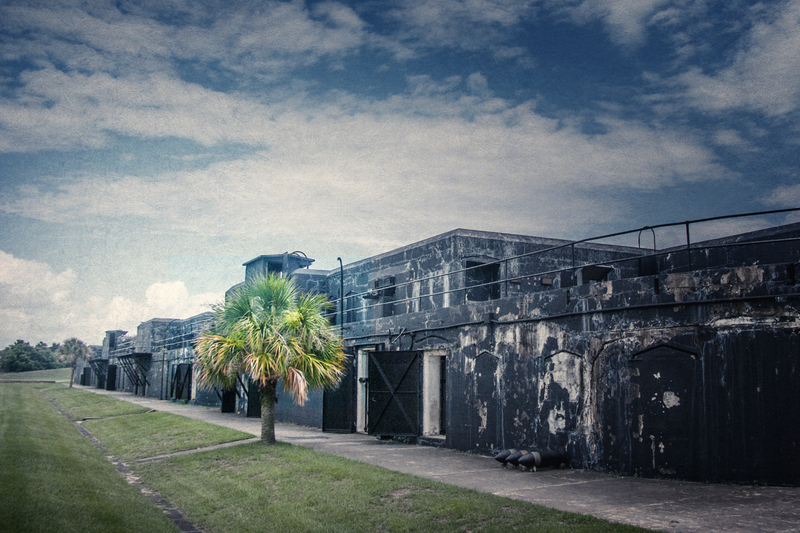 Poe wouldn’t have been familiar with the newer parts of Fort Moultrie, which was extensively damaged and buried under sand during the Civil War. Poe went from literary icon after his death, to pop culture icon. The name conjures a feeling. The feeling differs according to your own individual likes and tastes. To the masses he’s the Jim Morrison of his day – dark, mysterious, experimental and dangerous. The melancholy, the tragic losses in his life, his struggle for fame in the face of constant poverty, the sexual innuendo in marrying his 13 year old first cousin, rumors of alcoholism and drug abuse and his mysterious and wretched death, all draw the curious, the seekers of the morbid. After Poe’s death, the floodgates of sensationalism opened and Poe’s star took on a whole new trajectory. 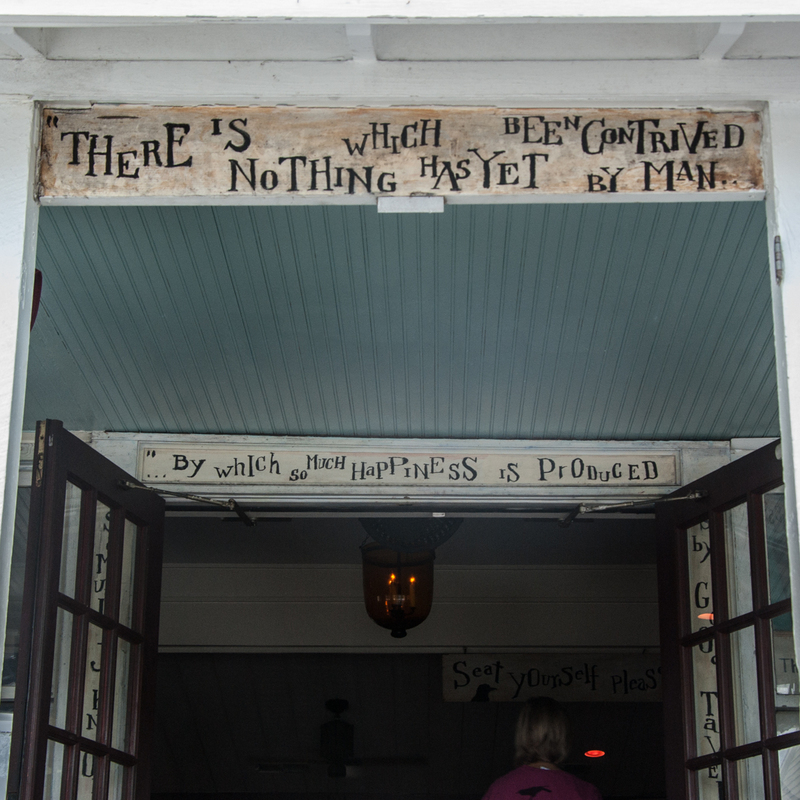 You can’t miss the Poe references on Sullivan’s Island. What it needed to become a bonafide tourist destination was the keystone. Fort Moultrie isn’t it. Much of what you see there isn’t even from Poe’s time. It’s impossible to stand there today and feel what Poe must have felt. I realized this walking the grounds of the fort, looking out into Charleston Harbor towards Fort Sumpter, watching the ships come in. A ship on the horizon, the great tankers of today would dwarf the great ships of Poe’s time. But the feel must be about the same, that sense of awe. But I knew it wasn’t going to happen. I wasn’t going to hear Poe’s voice at Fort Moultrie. So I said “screw it” and went for a burger and a beer at Poe’s Tavern. The boozy beating heart of the commercial Poe experience in Charleston. 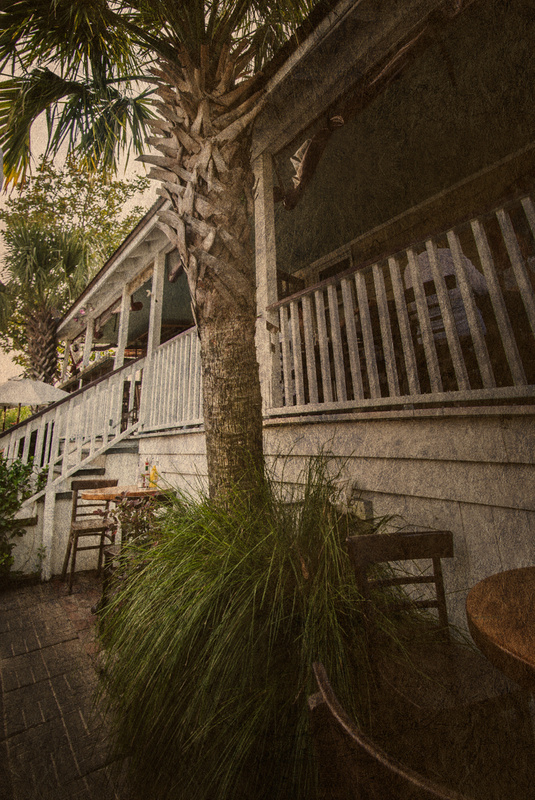 With pretty good burgers, cold beer and a low country vibe that makes the journey worth it. 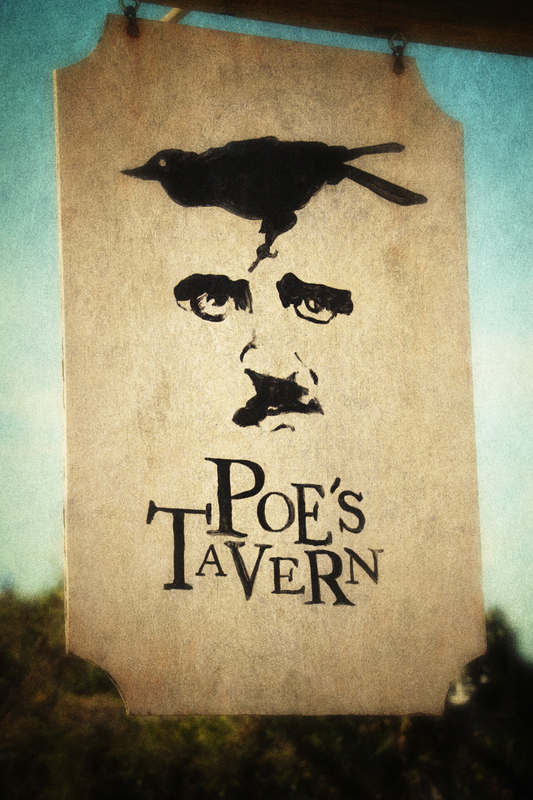 Poe’s Tavern is that keystone to the Charleston Poe experience. It’s not dedicated to the historical Poe, nor the literary Poe even. 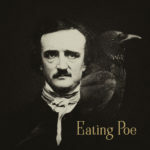 It’s a healthy dose of Poe the pop culture icon. And it must be doing well, as they’ve opened two more locations in Atlantic Beach, Florida and Wrightsville Beach, North Carolina, neither of which Poe had any association with. The original Sullivan’s Island location is a fairly non-descrip piece of low country architecture, open porch, tin roof, with stylish Poe graphics and typography decorating the place. Inside it’s open and airy, except for the throng of people lining up at the bar, at least in the summer months. The walls are covered with Poe art, Poe quotes, Poe testimonials. I saw a letter from Stephen King while I was there, and I have to admire him for what he’s done. He’s achieved the success Poe desired and never found, the mass appeal, the seemingly idyllic lifestyle. But what has eluded King, what he’s bemoaned on occasion is not being seen as a serious writer. That was a charge lobbed at Poe as well after the sensational success of his poem The Raven. A household name, but he couldn’t afford to support his household. He had his allies though, and that number swelled after his death, with writer after writer, including King offering accolades. The menu at Poe’s Tavern features burgers and fries, fish tacos, Mexican food and salads. The burgers are the most colorful things on the menu, named after Poe Tales. The Black Cat goes a bit far into Poe exploitation I think … grilled onions, a half pound burger, ground in house. It’s decorated with applewood bacon, pimento cheese and Edgar’s Drunken Chili. I know, he’s been dead a long time. But come on. It really makes a person wonder if those using his name for profit really don’t care about Poe as a man. But Poe isn’t Jesus, this isn’t the clearing of the temple, and I had a Pit and the Pendulum burger on the way, along with a very cold Samuel Adams. Samuel Adams is my go to beer when I don’t know what I want. I once did a blind test taste of all my favorite beers, and repeated the test on multiple occasions. The surprising winner was Samuel Adams. When I go to a place like this, I like to keep to the same menu items, so I can be fair in my comparisons for these little tales. Typically in a seaside joint it’s fish and chips. With burgers, it’s bacon and cheddar cheese. The burger didn’t disappoint. You might think you can’t go wrong with a burger, but you can, and some are certainly better than others. With no toppings aside from the bacon and cheese, you should be able to taste the meat. But there wasn’t a lot of flavor to it, or the cheese and bacon were so robust they covered it up. I can’t imagine how slathering chili on top of that would allow any taste of the burger at all to come through. Still, it was impressive, certainly worth the ten bucks I paid for it. I’ve had more expensive in train stations, with half the flavor and twice the grease. I didn’t stick around, though it’s the kind of joint I could easily spend a drunken afternoon, or night, or both in. 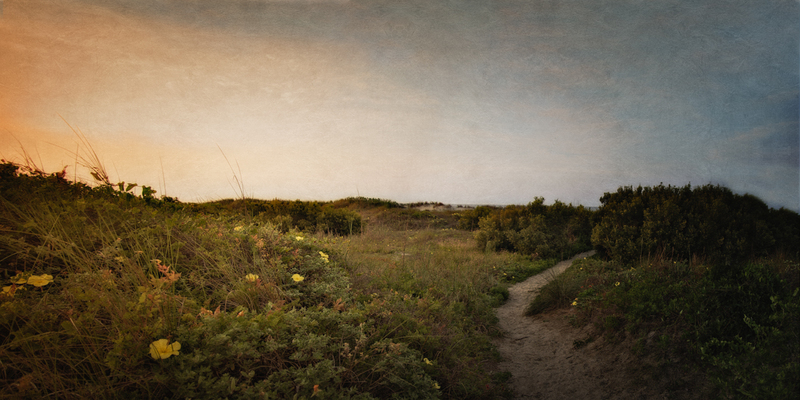 I wanted to be up early, on the beach at sunrise, to look for the small man with the intense eyes from Fort Moultrie, walking the beach and dreaming. 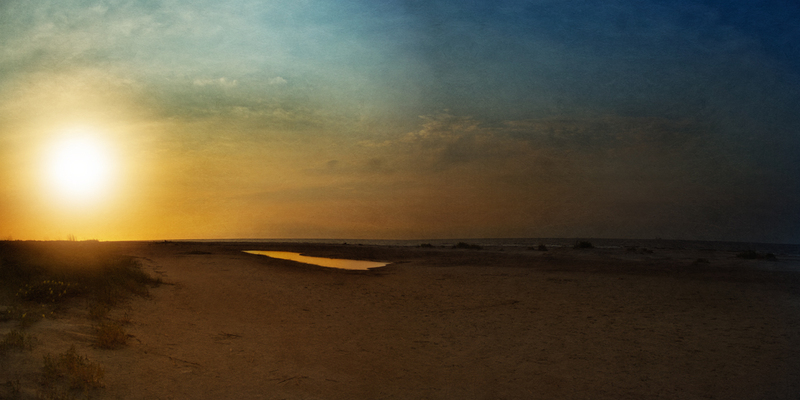 I didn’t find him there, just a shadow on the beach, fluttering in and out of sight in the ever changing light of a Sullivan’s Island sunrise. 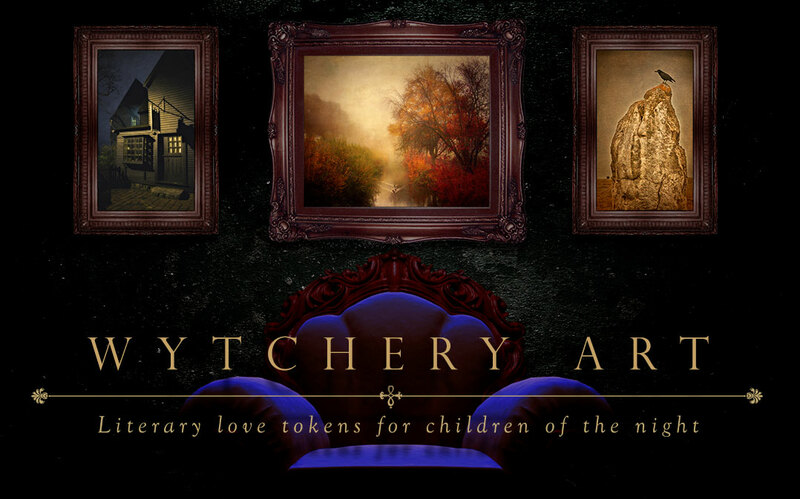 Shop for Poe in the Wytchery!